This is one of the most important farms in South Australia. Tim Webber and Monique Milton, after just two years farming this incredibly distinctive vineyard high in the Adelaide Hills, are already making some of the most mineral wines we've ever tasted from Australia. Their wines leave me breathless, such is their presence and individuality, and a visit to this farm must surely be one of Australia's best. The pair have grown up surrounded by farming, food and cooking and could scarcely believe their fortune when they discovered this property a couple of years ago. The farm is based in Forest Range and sits at roughly 600m above sea level. It essentially forms part of a ridgeline of the Mt Lofty Rangs and the soil structure is complex and extremely attractive. Amidst the iron, slate and sandstone sits a collection of quartz that makes me shake with excitement. This element, for me, is a defining aspect of the vineyard and of the wines that Mon and Tim have already made from the site. One of the elemental properties of quartz is that it attracts light and literally creates things of a vertical nature.....and it was upon seeing this in the vineyard at Manon Farm for the first time that I realised why the wines have their particular structure. They remind me of the structure of Karl Schnabel's benchmark cuvees....a lot of flavour, but very direct, 'vertical' and precise wines - wholly digestible, delicious and contemplative at the same time. Tim and Mon's approach is singular and revolves around working with nature and encouraging the land to return to state of harmony through an Australian lens. - Encouraging soil regeneration through proper composting and hastening the process by lightly turning grasses back in to the soil, just during the initial years of farming the site. - Strictly limiting the use of sulphur, and of course copper, in the vineyard with an emphasis, instead, on using herbal and mineral treatments to nullify mildew. These treatments include home-made tree paste, 500 (manure buried in cow horns), 501 (powdered quartz, also buried for a season) and biodynamic composts. These preparations are for applications that range from healing cuts after pruning to strengthening cell walls and promoting better photosynthesis. - Gradually creating a closed circuit farm and having appropriate animals play a crucial role in this ie, recognising the benefits of a small population of kangaroos on the farm, who create little / no soil compaction, manage grass though avoid eating native herbs and, of course vine leaves. Chickens are also big stars at Manon Farm and, conversely, Tim and Mon are all too aware of the negative aspects of sheep, horses and rabbits when it comes to plant and herb regeneration. To visit Manon Farm and see these practices in process and to see Tim and Mon pruning the entire vineyard singlehandedly is an uplifting experience. Believe me when I say that the work they're doing is hard yakka. On two recent visits I lost count of the number of times I remarked on how impressed I was with the amount of work they were achieving - they are getting a lot done. From the release of the 2017 wines, every wine will be grown on the farm by Tim and Mon and from the start, every bunch has been picked by hand and every vine pruned by hand. This long term project has had as much love committed to it as you could hope for and it delights me that the goal is not simply the production of delicious wine but to do something truly positive for the land itself. As a side note, this is incredibly important. The production of organic wine here is the number one priority but, happily, this will never overshadow the importance of doing something good for the planet. To put it simply, the entirety of Manon Farm operates as an organic entity and every square inch of the farm is treated with the same love and respect as the vineyard itself. Walking around the farm and speaking to Tim and Mon is a very nice thing to do. Between them they have about as much knowledge as anyone I've ever spoken to when it comes to geology, soil types, plant types, fermentation, bacteria,.....it's a long list. Speaking with Tim and Mon reminds me of speaking to Manuel Duveau, Christophe Pialoux or Sam Vinciullo.......lots and lots and lots of knowledge coupled with boundless energy and passion - I love it so much. Their paths leading to this point are important. Mon grew up on the one of the most broadly respected vineyards in New Zealand, her parents James and Annie having planted Millton Vineyard in the North Island in the early eighties. The property went on to be the first certified biodynamic vineyard in the entire southern hemisphere and remains a beacon of inspiring and uncompromising agricultural work. Mon has inherited her parents' fierce sense of the importance of doing things well, and with principle, and she is, in my opinion, one of the most necessary voices in Australian agriculture. Tim, after growing up in the central coast of NSW and having developed a healthy fascination with cooking, moved to Sydney to work at Bondi's famous Sean's Panorama and after a number of years was running the kitchen. Following a year break and seeing first hand the delights of simply served wine and food in restaurants and wine bars in other parts of the world he returned home to open ground breaking venue Love Tilly Devine with sommelier Matt Sweiboda. But, the seed for farming (excuse the pun) was already sown after Tim had read Patience Gray's Honey from a Weed. He was itching to move to the land and his love for cooking had developed in to an extraordinary urge to study plants and geology. Today he is one of the most knowledgeable and focussed young people in this industry and his plant husbandry is sensitive and impeccably well informed. Before long Tim and Mon were searching for a farm of their own and. after having visited numerous sites throughout the country. found what is now Manon Farm high in the Adelaide Hills. By and large, the vineyard is planted on 5 different parcels, all of them with varying degrees of topsoil but all sharing the shale, sandstone and quartz seams beneath. In the winery, they're fussy and very careful and the wines are allowed to complete almost 12 months of elevage before bottling. 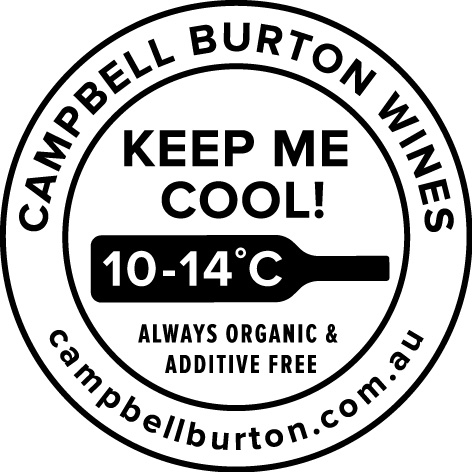 Again, an understanding of the benefits of an abundance of healthy bacteria allows them to make precise wines without fining, filtration or sulphur dioxide - nothing but organic grapes ever goes in to the bottle. As many of you know, the cuvees they've made from here so far have ranged from single parcel, single variety wines to blends from right across the farm and the future is very bright for not just the existing wines but for brand new cuvees and blends they plan to make. I pondered this a couple of weeks ago as I sat on the verandah of the winery with Mon and Tim and we drank a bottle of their 2016 High Paradise. It's one of the most impressive and delicious wines I've drunk this year and if this is what the farm can produce after Tim and Mon have been here for just a couple of years then what the future holds simply demands to be followed. It's extremely exciting. This is one of the most important farms in Australia and we're utterly thrilled to be working with Tim and Monique.